Mount Abu is not only a sanctuary but the only hill station of Rajasthan. It nestles betwixt the Himalayas and the Nilgiri mountain ranges. The place is famous world over for its Jain temples. Religion and tourism go hand in hand here. Apart from having numerous sightseeing places, the sanctuary is a major attraction for those who have love nature since it has great potential for Eco-tourism. The Mount Abu sanctuary covers an area of approximately 288 kilometres. It was announced a wildlife sanctuary in the 1960. It is dominated by evergreen forests and fully charged with jasmine. The Mount Abu sanctuary is rich in fauna. Over 250 species of birds are found in the Mount Abu sanctuary. The sanctuary can be referred as a pilgrimage for bird lovers as there are numerous on-going activities of birds that fill the park. 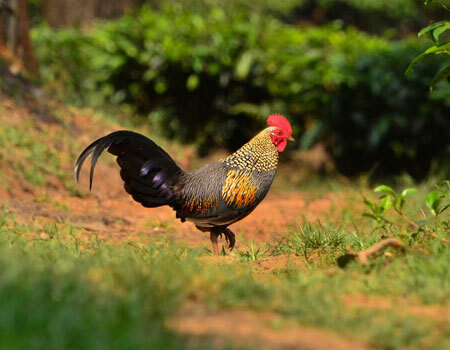 Grey jungle fowl is the major attraction of the sanctuary. Other resident animals include the leopard, langur, wild boar, sambar, sloth bear and chinkara. Add to it, the sanctuary is rich in floral biodiversity too. This is not all, the finest varieties of orchids and some herbal as well as medicinal plants are found here. It has approximately 112 varieties of plants. The kacchar, mango, khajur, champa, roses and jasmine plants are a few names to mention. Hold your breath as the blossoming of the flora is a sight to behold. The best part about visiting the Mount Abu sanctuary is that you can also see the famous and magnificent Jain temples situated nearby. You can experience both adventure tourism and pilgrim tourism at one go.